FIRE damage was recorded at historic buildings 38 times over the last 10 years, with other incidents going unrecorded, according to new figures released to Detail Data. Despite an August 2011 ‘call to action’ by then Environment Minister Alex Attwood, heritage crime remains a major problem, with fires still a regular occurrence. Minister Attwood’s comments were made at a Heritage Crime Summit in Hillsborough, which was organised following a spate of fires at listed buildings, culminating with a blaze at Herdman’s Mill in Sion Mills just weeks earlier. Despite government concern about the deterioration of sites due to fire damage, the authorities have been challenged about the success of initiatives introduced to prevent fires as well as their use of available enforcement powers such as compulsory purchase and urgent works notices. A DoE spokesperson told Detail Data that the summit had proved effective in tackling the problem of heritage crime. “Action by the Department to ensure that owners kept their vacant listed buildings secure through the service of Urgent Works Notices had the desired effect and such incidences have reduced dramatically,” they said. However, analysis of the data confirms that fires remain a problem, with 12 recorded in the four years following the 2011 summit. To view the database of recorded fires at historic buildings, visit our datastore here. A number of well publicised fires – such as a June 2015 blaze at Crumlin Road Courthouse and a July 2012 incident at the former Downe Hospital do not appear on the list provided by the Department, suggesting the true figure for the number of fires may be higher. Another fire at Herdman’s Mill in October 2015 raised further questions about the achievements of the summits. However, the Department believes improvements have been made. “Minister Attwood convened three summits on this issue between 2011 and 2012 and a plan of 12 actions were developed in partnership with key stakeholders at these events,” a Department spokesperson said. “Key among these was the Department issuing Urgent Works Notices to send out a clear message that it was prepared to take direct action. Many of the buildings that have suffered fire damage also appear on the Built Heritage at Risk register – for example, Mahon House (Portadown), Tyrone Courier (Dungannon), and Lisnaskea Workhouse as well as Herdman’s Mill and Crumlin Road Courthouse. As such, many are vacant, something Ulster Architectural Heritage Society Chief Executive Nikki McVeigh believes presents additional difficulties. “There is a big challenge with securing historic buildings – especially if they aren’t occupied,” she said. “We would recommend if there was a historic building that people were trying to maintain and trying to upkeep the best way to do that is by having a caretaker or a temporary tenant to keep it secure. To date, just one at risk building, Sion Stables in Sion Mills has been the subject of a DoE compulsory purchase. Today the facility is fully restored and operational as a heritage centre and cafe. According to Francis Hood, the project manager at Sion Stables, it is surprising the model implemented in the Co Tyrone village has not been used more often. “The stables is the only building that has been vested by the DoE in the north of Ireland, which is very interesting because when you look at the number of heritage buildings that there are and you look at the power the DoE have in exercising the ability to vest buildings you do wonder why this is the only one that it has happened to,” he said. Looking elsewhere in the Co Tyrone village, Mr Hood said: “The mill building (Herdman’s Mill, pictured below) is a listed building, but unfortunately there was a malicious fire in it in 2011 when the building was vacant. That has caused substantial damage to the roof and interior of the building. The condition of the building is likely to have been further compromised by the most recent fire which required 63 Firefighters and nine fire appliances to extinguish. On the wider issue of protecting historic sites, the DoE confirmed that, in the past five years, enforcement action has only led to improvement works at approximately 40 premises. Marcus Patton of Hearth believes that enforcement powers should be used more often: "You are not trying to attack the little old lady living in a house that is too expensive for her to repair, that isn’t what you would use it for. It is for the person who either can afford to restore it or simply isn’t using it and even just putting it on the market leaves it open for someone else to come in and restore it." For its part, the Department said that it: "Takes the approach of attempting to work with owners of listed buildings to encourage their proper maintenance. “Where this proves ineffective, we move to tiered enforcement measures. In the last five years, 60 Urgent Works warning letters have issued to owners, with 12 Urgent Works Notices issued. “This has resulted in works being undertaken in approximately two thirds of these 60 buildings, where owners were - and are - keen to work with the department, to ensure their buildings are safeguarded. 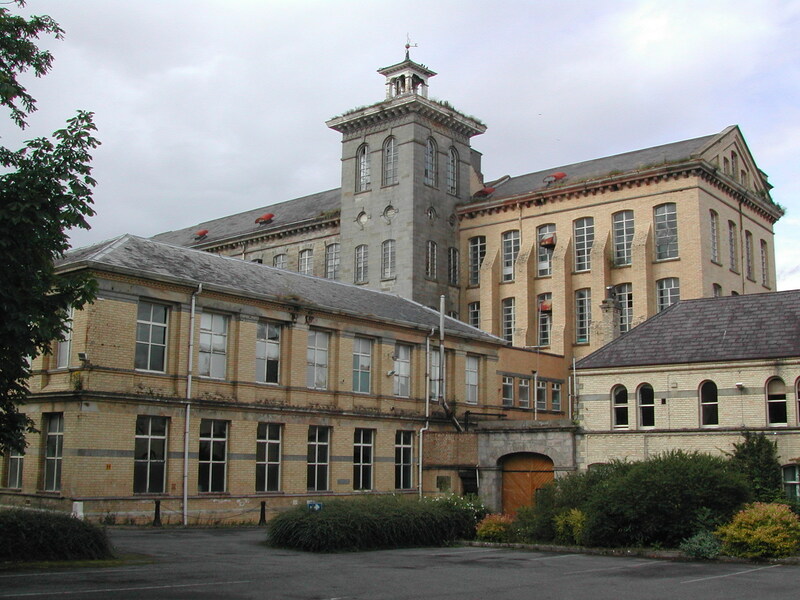 In relation to why just one building has been the subject of a compulsory purchase, the DoE said: “Given the significant governance arrangements that need to be put in place when a building is vested by the Department, we seek to work with owners to ensure the effective conservation of our historic environment. “When vesting is undertaken by the department, it is important that the building - after it has been acquired through compulsory acquisition - can be conserved through partnership with others. Is the government doing enough to protect our historic buildings? Case Studies - the buildings which share our lives.